A gourmet twist on a classic! 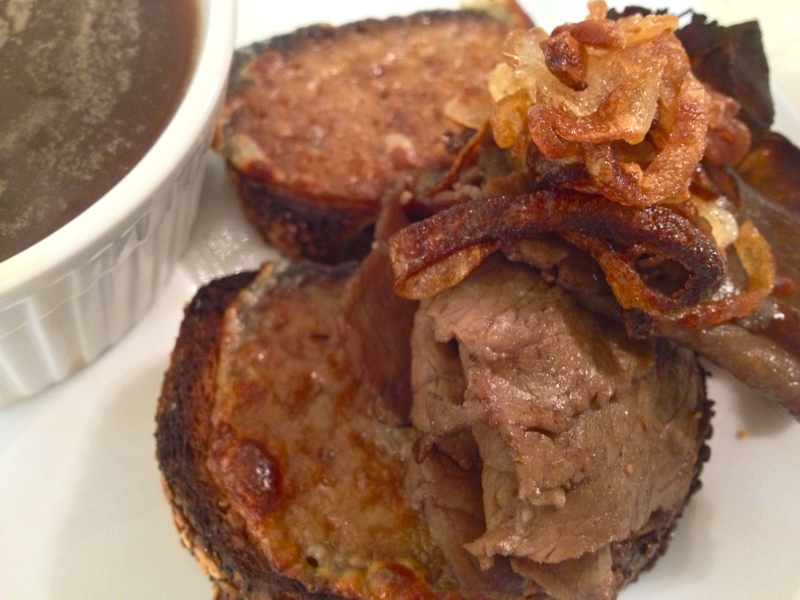 French dip is the perfect winter sandwich, don’t you think? This is definitely a man’s sandwich. Isn’t there some big football game coming up? Yeah, I doubt you’d be sorry if you made this for lunch at that point. I served this with sweet potato fries…I didn’t hear any complaints. Place the olive oil in the bottom of a cast iron skillet. Heat the oil to about 220F. 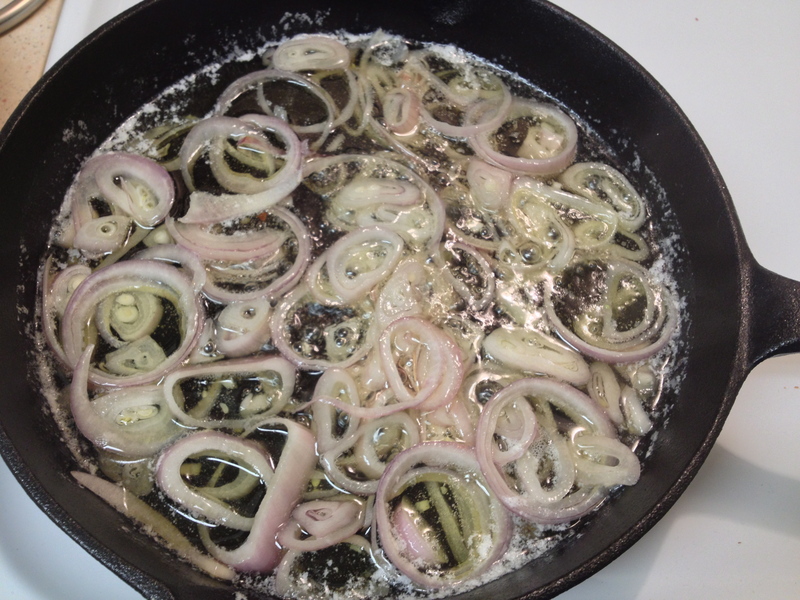 Reduce the heat to medium-low and place the shallots in the hot oil. Stir occasionally; let cook for 30-40 minutes, keep the temperature below 260F. Slice the bread; broil for about a minute or until the bread just begins to turn golden. Place a piece of cheese on top of each slice of bread. Broil again until the cheese is melted and slightly browned. Combine the broth, Worcestershire sauce, salt, pepper and any other desired seasonings in a sauté pan or oven proof dish. Warm the beef in the oven or in sauté pan. 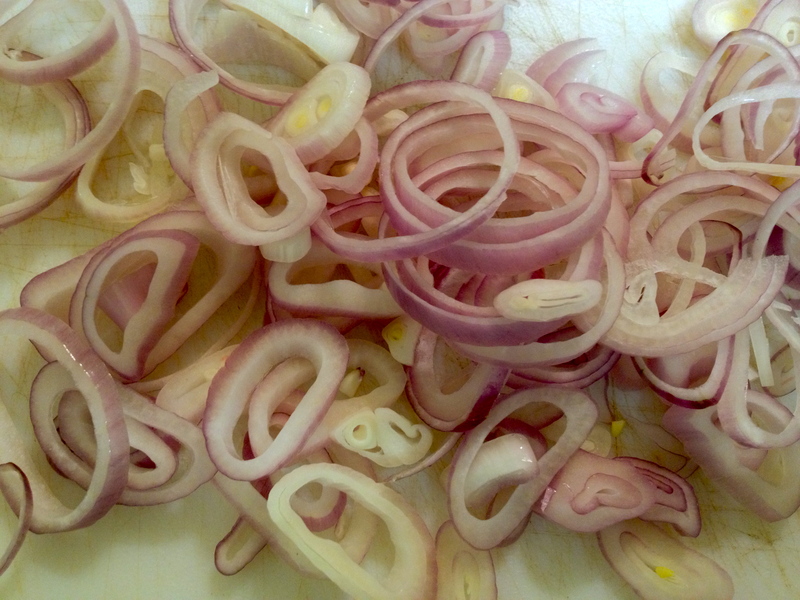 Remove the shallots with a slotted spoon. Place on paper towels to dry. 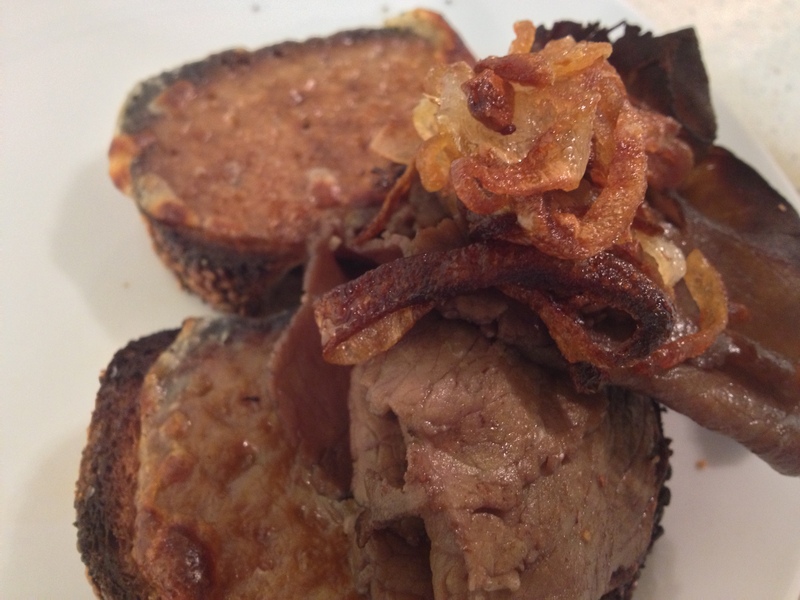 Once the shallots are dry and crispy, layer the beef on top of the bread and top with crispy shallots.